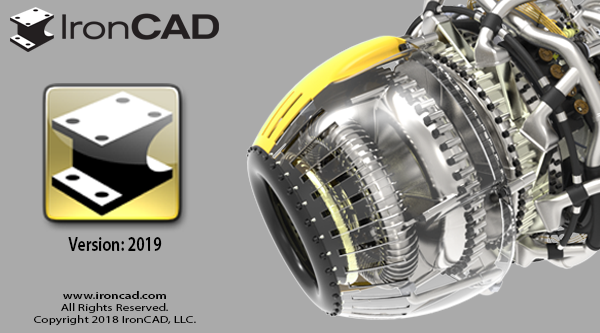 We’re excited to announce that IRONCAD 2019 is here and it is our 20th Anniversary Release! This next generation of design-productivity software used among metal fabricators and custom machinery manufacturers continues to strengthen its ability to design, work and collaborate with large assembly designs. New functions and improved features/user interface focus on this core theme to increase productivity in the overall design and collaboration of designs. Below are more specific details about these productivity enhancements for 2019. Improvement to the Shrinkwrap command include optimizing the Shrinkwrap model to create smaller file versions and offering more protection in hiding your intellectual property. Enhancements have been made in the visibility detection to hide parts that may be internal to the design. Additionally, support for pockets has been added to account for areas such as extrusion grooves that could be found on aluminum extrusions for example. Using the Shrinkwrap command, you can now save your shrinkwrapped model and create an associative link to it from your design file. This gives you a simpler method to update the shrinkwrap model when you make changes in your design. After making changes to your full model, simply right-click on the shrinkwrap link and select update process the new changes in your shrinkwrapped model.